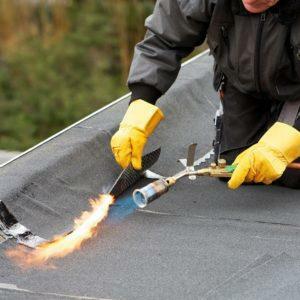 When it comes to installing flat roofs in Lake Oswego the clear choice is to hire Pioneer Roofer. We’ve been installing and repairing flat roofs in Lake Oswego for over 20 years. That’s because the best flat roofs offer home and business owners a lot of flexibility, but only if they’re installed correctly. Your flat roofing installation experts! If they aren’t properly graded, flat roofs can be disastrous. 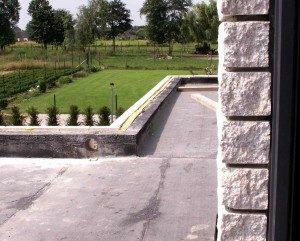 As an experienced local flat roofing company, we know how to direct water away from your foundation. This is crucial in the Northwest where annual rainfall can be quite high beneath the rain shadow of the Cascade Mountains. We provide complete flat roof design and installation by a team of skilled and trained roofers. Every property requires a different approach. Structural differences and use requirements vary between property types and building owners. We’ll work with you for a flat roof installation, Lake Oswego residents know will meet their needs. Every project we carry out comes with a warranty between 15 and 25 years. That’s dependable flat roof installation Lake Oswego property owners can rely on. Construction is performed using the highest quality materials. That’s why we can guarantee from beams to builders, you’ll get the best every step of the way. Easy Inspections – Flat roofs are one of the easiest types to inspect for damage. This is a major benefit during the area’s turbulent winter windstorms. Identifying damaged areas and spotting debris is easy on a flat surface. That makes for easier cleaning as well. You can simply walk on your roof to remove branches and sweep it clean. Financial Savings – With a flat roof installation, Lake Oswego home owners save on maintenance costs. This roof type does require ongoing maintenance every couple of years. We can provide flat roof maintenance service to keep your roof in peak condition. Extra Space – There isn’t a better roofing type for those who want to entertain. This makes it great for apartment complexes as well as homes. We can build your flat roof with the strength to support active guests or garden features. Many people use flat roofs as multi-use spaces. They often provide a great view, and is sure to be your new favorite hangout spot. Take the first step to a better roof! We always perform a full inspection before beginning work. This gives us the opportunity to evaluate your structure and discuss your plans. With your input we’ll formulate the best design for your needs. As a fully licensed, bonded, and insured company we run a safe work site. We’re always happy to talk roofing, so call (503) 281-0305 or Contact Us today to find out more about how a flat roof insatallation in Lake Oswego can change your building for the better.